I came across some interesting items this week, including a few older Montblanc L.E. inks that are surprisingly still hanging around. I can't say how long they'll last, so act quick if you're interested. 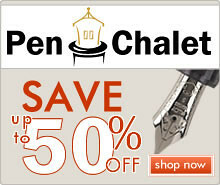 Valentine's Day Discount (via Pen Chalet). Use the code VALENTINE to grab 10% off at Pen Chalet, including on the new Lamy Pacific Blue AL-Star (though the "new" Pacific Blue Ink is the same as existing Lamy Turquoise). Also consider pre-ordering the Lamy Safari Petrol, and accompanying dark teal "Petrol" ink. February Closeouts (via PenBoutique). 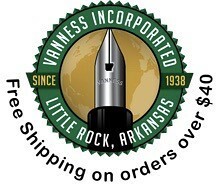 Pen Boutique is running a February closeout sale with pens and assorted accessories marked up to 60% off. Sailor 1911 Large "Fresca Blue" Limited Edition (via Pen Chalet). 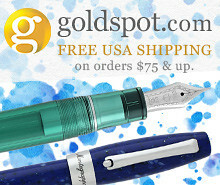 If you collect Sailor Limited Editions, check out this exclusive for the North American market. Also available in the smaller "1911 Standard" version. Montblanc Leo Tolstoy Limited Edition Ink (via Anderson Pens). 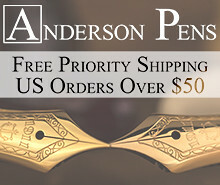 Anderson Pens still has bottles of the past "Leo Tolstoy" Writers Edition L.E. Ink. I'm a fan of this sky blue ink - it's what I used for the writing sample in my recent Visconti Homo Sapiens review. Montblanc Miles Davis Jazz Blue and Lucky Orange (via Anderson Pens). Montblanc Ultra Black Limited Edition Ink (via PenBoutique). Pen Boutique has the Montblanc Ultra Black Limited Edition Ink on discount. Montblanc Blue Hour Twilight Blue Ink (via Amazon). I don't remember whether this limited edition ink is popular or not, but it's still hanging around at not-outrageous pricing. Montblanc Pink Cartridges (via Amazon). Very limited stock. PIlot Kakuno Black and Red Model (via Amazon). I really like the looks on this one. It's red, so I'll probably end up with it. 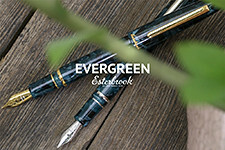 Conklin Mark Twain Crescent Filler Fountain Pen (via Massdrop). 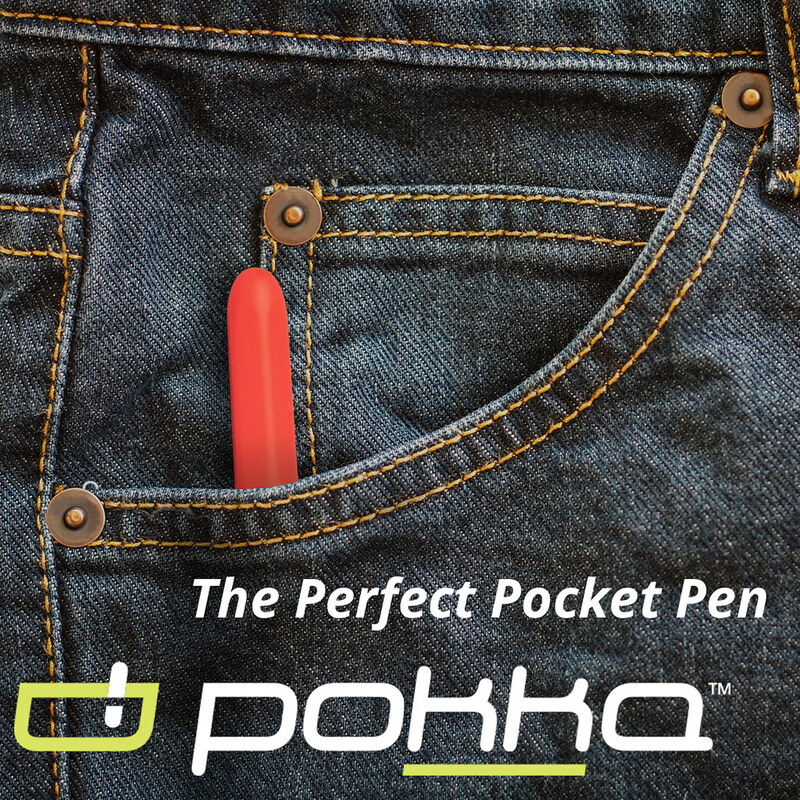 Great deal on an interesting pen. Someone has loaned me one of these that I'm testing now, and it was somewhat of a surprise how much I like it. 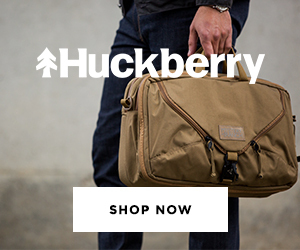 Pacific & West Notebooks (via Huckberry). There's still an opportunity to grab some Pacific & West walnut and brass discbound notebooks at a discount. 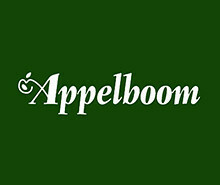 If you're unfamiliar with this product, please check out my review here. Monteverde Mountains of the World Kilimanjaro Ballpoint (via PenBoutique). I mentioned this version a few weeks ago as the one that I gave my Dad for Christmas, and he's obsessed with it. Now on deep discount and a great deal. Pelikan Cognac Special Edition (via Amazon). A special edition from a few years ago that has somehow managed to hang around. I may consider picking up one of these, as they look great in person. Pelikan M605 Marine Blue Special Edition Demonstrator (via Amazon). Another great special edition from a couple years ago. Looks as though stock is limited. Disclaimer: This post contains affiliate links. Pricing and availability is current only as of the time of posting of this review, and is subject to change.